1.Where can I buy ROOF helmets, assessories and spare parts ? In all our official dealers in France and foreign countries. Go to “find a dealer” page to target the store nearest you. Your dealer will give you quality advice and will be your privileged link with the ROOF company. 2.What is the warranty for my helmet and screen ? 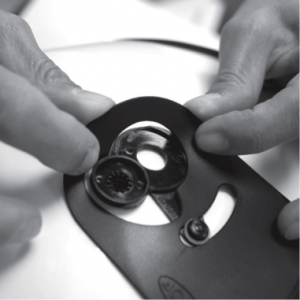 Only the problems connected to the manufacture and preventing a normal use of the helmets are covered by the warranty. Subjective problems associated with its use (size, comfort, weight, noise, ..) and normal wear are obviously not covered. Any helmet that has sustained an impact shall not be covered by the warranty. ROOF helmets are covered by warranty from the date of purchase and for a period of 3 years while the visor shall be covered for 1 year (except Iridescent visor), for any manufacturing defect assessed by our customer service. ROOF undertakes the cost of spare parts and labor related to these problems (within the limits of the purchase value of the helmet). Excluding warranty extension activated on the website, these warranty periods cannot be extended under any circumstances, even if the helmet or the visor has been requiring intervention or immobilization. To send your helmet to customer service, thank you for going through your dealer. 3.How to choose my size? How to adjust my helmet? To give you maximum safety, the helmet must be well adapted to the size of your head, a helmet is a strictly personal protection element. Put on the headset, hold it firmly with both hands, you should be able to turn your head in any direction inside the helmet. If you manage to turn your head easily, the helmet is too big. If the helmet is too much pressure on your head, it's probably too small and may cause headaches and reduce your concentration. Once tight chin strap, the helmet should not be able to tilt your head. 1.Can we change inside a helmet? 2.How to activate my extended warranty ? Once your member account is created on the website via the tab “Register”, you can, activate your extra year of warranty for your helmet by logging into your profile. To do so, send us your invoice or proof of purchase in electronic format via the activation module for this purpose. You will receive a confirmation e-mail informing you of the confirmation of your additional year of warranty. If you need to return your helmet for a defect covered by the warranty, thank you for going through your dealer and adding to your helmet, the printed confirmation mail of your extended warranty. 3.How to return my helmet to the customer Service ? To benefit from the warranty of the ROOF product, please go through your dealer and provide proof of purchase. Beyond the warranty period and without proof of purchase, any repairs will be billed following validation of quotation. 1.How to remove and reassemble BOXER VISOR ? Put your helmet on a smooth and stable surface. Unscrew the Aluminum axes with a coin or key. The anti-loosening red ring of remains on the axes. Spread the chin and remove it from the helmet. 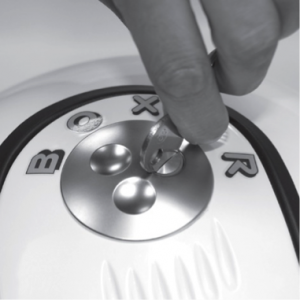 To remove the visor, raise one bottom screen side plate to release the large diameter and small diameter of the bi-axes. Remove the stop plate. Proceed in the same way for the other side. You can then change the screen or clean it. 1.How to remove and reassemble DESMO visor? To disassemble and reassemble your DESMO visor safely, please follow the instructions in the DESMO booklet and use specific tools provided with your helmet: Key-ring BTR and mounting template (DESMO TOOL). - Free space in Chinbar increased to more ease while maint its damping qualities. This saves space in the chinbar allows DESMO to become accessible to a larger number of morphologies. - For more useful, the reversible stop insure a soft locking of the chinbar in Jet position. Handling air extractors and the fastener of the flap windbreaker also benefited from improvements for this 2016 version.